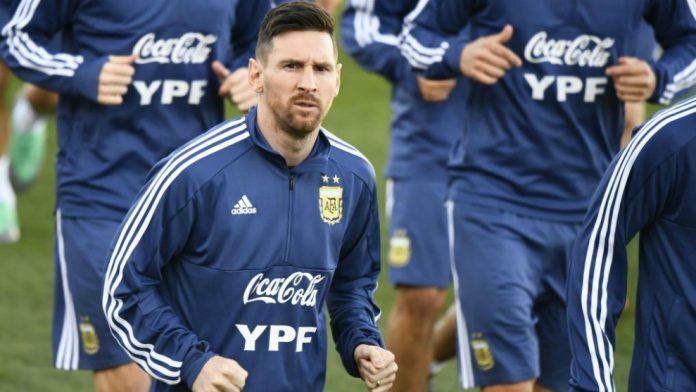 Argentina coach Lionel SCALONI has confirmed the team which will play Venezuela on Friday. 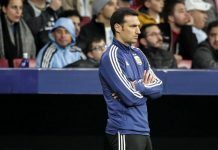 As we reported earlier today, there were rumors that SCALONI would go with a 5 man back line and he has confirmed that. With MONTIEL and TAGLIAFICO as the full backs, it will be MERCADO, FOYTH and MARTINEZ partnering them. In midfield, it’s LO CELSO with PAREDES, with an attack spearheaded by MESSI, Lautaro and Pity MARTINEZ. ah.. just when i started respecting Scaloni as a coach he does something like this – 5 man backline? MERCADO? bloody MERCADO? Messi and co owned Mercado and co in Spain. I dont hate Mercado but he doesnt desereve a place in the lineup (or even in the bench)..
Kiddo, you surely haven’t watched Mercado in Qualifiers. He is a warrior and has always performed well for the national team. I’m sure he’ll surprise all his critics today as usual. ahem… what say now COPA_2019? 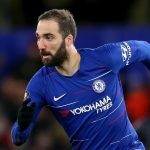 anyway i think us fans have been hardened to take these defeats in our stride thanks ti recent listless performances and bad decision making.. i hope there is someone who is a level headed as messi in the adminstrative part of the NT..
It’s like a 343, why not, this can fix our problem about lack of natural DM. One of the 3 CBs can move in more advanced position to help Paredes. Lisandro has great passing skill and Foyth comfortable with the ball. Tagliafico and Montiel are not great fullbacks but hardworking, to use them as fullback wingers may be a good idea. However, don’t expect to bring the best of Messi if you use him in this position. He will have less freedom. If Otamendi is back, my top choice for a 3 men defense will be Foyth, Ota and Lisandro. I feel Scaloni is trying to imitate what his predecessor Sampaoli was attempting with a 3-4-3. Well, he was Sampaoli’s assistant, so it’s only natural. Doesn’t mean it didn’t work, but it’s risky against teams who like to play wide, such as Croatia in the World Cup for example. We all know Messi will drift into the midfield, so as long as Montiel can keep the width on the Right flank, and either Martinez or Tagliafico on the left, Messi can move wherever he deems necessary. I still feel a back 4 is necessary. This might work against Venezuela, but against stronger opposition with skillful wingers that have a lot of pace, we’d have to see. Y don’t Scaloni stabilize a particular formation. A formation in which the team is comfortable in. Argentina is never comfortable in a 3 man defence. Why don’t we just go for 4-3-3 and occasionally 4-3-1-2. In today’s team Scaloni could have easily rested tagliafico and play Lanzini or Pereyra in the midfield along with Paredes and LoCelso. Or could have tried to play Messi and Dybala together in 4-3-1-2 formation with the same midfield of Paredes, Lo Celso, Pereyra/Lanzini and Messi infront of them with Lautaro/Benedetto and Dybala as two forwards. How does resting tagliafico and taking pereyra/lanzini works, they dont even play in the same position. You know who is the other coach who used 4-3-1-2 with dybala and messi? That is sampaoli against the same opponent. I would not say it was a failure but it didnt give a positive result also. I was talking about changing the formation, making a 4 man backline and introducing another midfielder who would link the play. Please read the post before making dumb comments. And why not take a chance with playing Messi and Dybala together. Maybe it won’t be a overnight success but we should take that chance. If they play 433, I don’t think they will use Lanzini or Pereyra but rather Zaracho or Palacios, a more defensive profile. I can not watch the game today but where can I watch it later? Like in the next morning or so..? So is there any page which offers those re-runs? 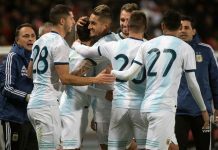 Could you guys help me out..
A young Argentine team. I like it. no need to use 5 back,indeed vs weak team using 433 /352 is okay.if you have lisandro martinez ,tagliafico can be benched. mercado as a CB that’s no problem in terms of injuried otamendi and pezzella,i think mercado ‘s experience help a lot. number 9 lautaro martinez is not that enough ,I prefer matias suarez or benedetto rather than lautaro. lanzini is a must in line up. as to goalkeeper armani is not that impressive at all,I prefer andrada. Who should be our 3 Goal Keepers for Copa? I can say only after this 2 friendlies. Andrada as the starter for Copa. Andrada and Benitez should lead us for some years with a young Goal keeper pushing them. We must rotate the Goal keepers in the friendlies don’t make a Romero like situation again ever. Yeah, Benitez and Musso are my 1st options. The 3nd one don’t need to play so maybe a motivator like Romero. Romero is not a motivator he is an arrogant guy who because of our past coaches idiocity to stick with him made himself think as the best we have in his position. Which he is not and never was. It’s better to keep him out. He will disturb the harmony of the team. Have u seen his last arrogant statement. WTF armani is doing here i dont understand why he is being selected again after his horror show in WC club world cup. We have better goalkeeper romero, benitez, rulli. Romero doesn’t play for his club and Rulli is sadly a disaster waiting to happen so I don’t think either of them are any better than Armani, whom I can’t blame for the failures of the WC since it was baldie’s crappy tactics that did the team in. I do agree with you on Benitez, who has been superb at league 1. Romero didnt play for his club in WC 2014 , a bench warmer at monaco still one of the best player for the Argentina and what river plate starter armani had done in WC . Whenever he gets chance for Man Utd he performs well. No he didnt actually he was very bad against bosnia and nigeria but just had a good perfomance against netherland. May be Argentina was lucky that they didnt got a WC winner in pre-quarter like as they got in 2018 WC. 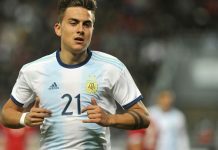 Why don’t Argentina play simply 4 man in defense… They seems not learn from previous failure..
No dybala again , man I really feel sorry for this kid , I don’t know why every coach hesitate to try the duo of Messi and dybala, I mean there’s always a way to combine them , everyone I watch Argentina games , I dream of the Messi – dybala combo , but neither of them play together. If it’s really this way , I think he should better play for Italy , really , fed up the Argentine coaches, it’s was bauza who tried them both , and have the guts to do that . The lineup is well , but missing dybala’ s genius . Rarely and Argentine coaches see how much pressure dybala can take off from Messi , be it free kick , penalties , playmaking or pulling defenders , but alas the fate of the kid is really bad . I fell so bad because that means whenever messi’s here dybala wont play. I too think that either Foyth or Lisandro will play as sweeper. Scaloni selected Mercado for experience though I like to have Lanzini or Perrreyra in the midfield for 4 4 2 . Anyway I like this formation and team selection. Waiting for a good match. this formation makes sense if it was Venezuela using it against the almighty selection of Argentina but it is a waste of offensive supremacy that Argentina has over its opponent. we definitely need an extra offensive midfielder (Lanzini preferably) to combine with Messi, pity and Lautaro who will be going against a defensive minded Venezuela team that will play with 4 in the back and two defensive midfielders. yes we can use backs as midfielders if we had the talent pool of Bolivia but this is Argentina……I kind of feel like we still have sampaoli at the helm. regardless we should win off set pieces vs Venezuela and by no means should Venezuela come close to scoring with 7 of 10 field players in defense. argentina vs venezuela using 5 back must be a problem .that is simple just look at the comparison of the following line up. what is difference between the two line up? No matter what any one says, but look at that defence, Lisandro Martinez, Foyth, Montiel, all around 21 or 22,Havent seen such a young defence playing for us in ages. Hats of to Scaloni. This is what friendlies r all about. This is what we needed badly. It’s sad that we didn’t had any courageous coach like him for some years. Even if we loose its a risk worth taking. Love it. My only issue is the 3 man backline I somehow don’t see it suits us. And the midfield looks thin Montiel would be the key player here. Need to do lot of over lapping running, bcoz Tagliafico is not that gud going forward, so it basically becomes a 4 men backline. I would have taken Mercado out and played Pereyra. To avoid the age old cenario of Messi dropping deep.Hope that won’t happens. Together Juan foyth and lisandro Martinez. But it’s positive lin up. Then I’m pretty sure we will win. I really like the lineup, for now, it’s great beginning seeing new generation taking over. WE are missing few other players like palacios and Lanzini still not in great from, But things are looking brighter. Would love to see Gazza and Benitez too. I think Benedetto will play Morroco match. and Dybala will take over for Messi at that match. 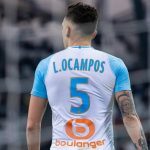 I would still like to see Paredes, LoCelso, Lanzini midfield. Lo celso or lanzini playing as winger. I hope we do play great and atleast reach the final, realistically speaking 2020 copa is a gud bet. 2019 well we never know. Miracles can happen hope it does.. Love to see we winning a trophy for the first time in my life time. Mascherano was our sweeper isn’t it.He was gud but he becoming a sweeper to protect our defence made our midfield weak so weak. you all just take a notes that this team and coach cannot win the cup with messi. this is the last tournament for messi. only pep can win if he coach argentina. Of the Nt years to come. i feel like we are playing against Brasil and we will try to defend our victory of first leg with 1-0 or 2-0.
like we prepare the second leg i feel. to defend and try score with counter attacks. very interesting. i am very curious to see. Don’t worry we are going to pick up 2 easy wins. Let these kids surprise you, they are very fun to watch. You are correct. This formation is a joke. I think it’s a very good lineup. It looks to me like a 3-4-1-2, with Messi dropping to support the midfield in playmaking. This looks more of a 3 man defense because Montiel is playing instead of Saravia, who is much more attacking minded than the latter. Also, even Tagliafico is playing more of an attacking role in Ajax. Although back 3 hasn’t worked for the national team in past few years,(even I’m not a big fan of it) but this time we have different young players. Every player fits in their position.They’ll just have to be compact when not on the ball, defend as a unit and not press too high. The only thing which worries me is Armani starting again. There’s no problem with this squad as I really liked Armani he tried in few matches of world cup he played. instead of using substitutes like Romero or Caballero he must go in the goal. But Aguero should be there please.